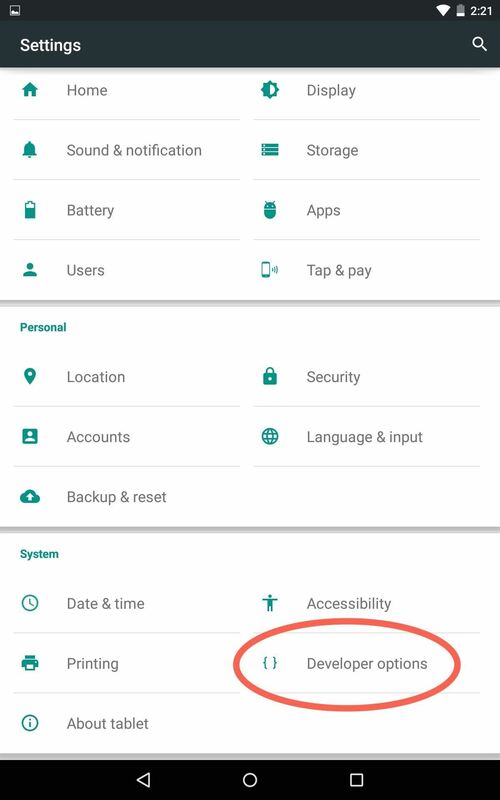 On earlier Android versions, you were able to hold down on an app's icon in the recent apps menu (aka app switcher) and jump straight to the app's info page. 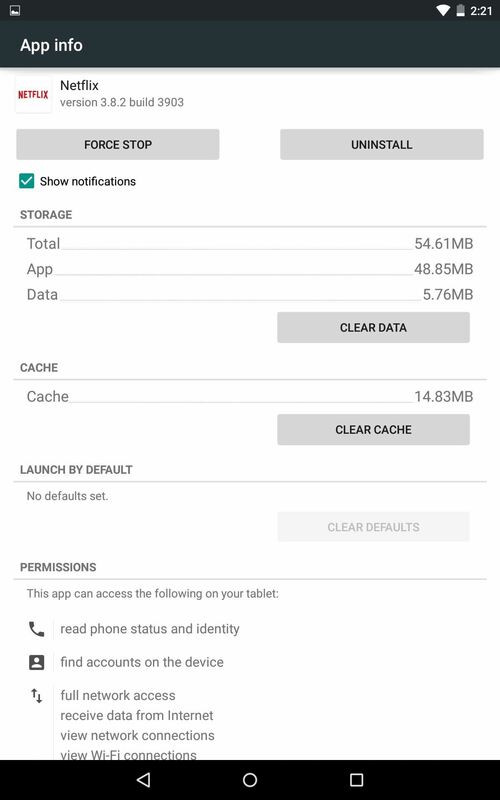 From there, you could easily uninstall the app, force-stop its activity, or clear its cache and data. If this was something you regularly utilized before, then you may run into a problem when you try this same function on Android 5.0 Lollipop. For some reason, the functionality is absent, but it's fairly easy to get back. The Trick? You've Gotta Enable "Developer Options"
Yes, it's that easy. Really. There are no settings to toggle or anything. You just have to make sure you have the hidden "Developer options" unlocked on your Lollipop-powered device. To do so, navigate to the "About device" section in your Settings, then tap on the "Build number" seven times until it declares you a developer. When you go back to the main Settings page, you'll now see "Developer options" listed. More info on this can be found here. Again, there's nothing more to do besides unlock the "Developer options" menu. To try it out, open up your recent apps menu, then tap and hold on any app's icon and you'll be forwarded directly to its info page. It's not a game-changing tip, but for those of you who missed this feature, you'll definitely appreciate having quick access to it again. 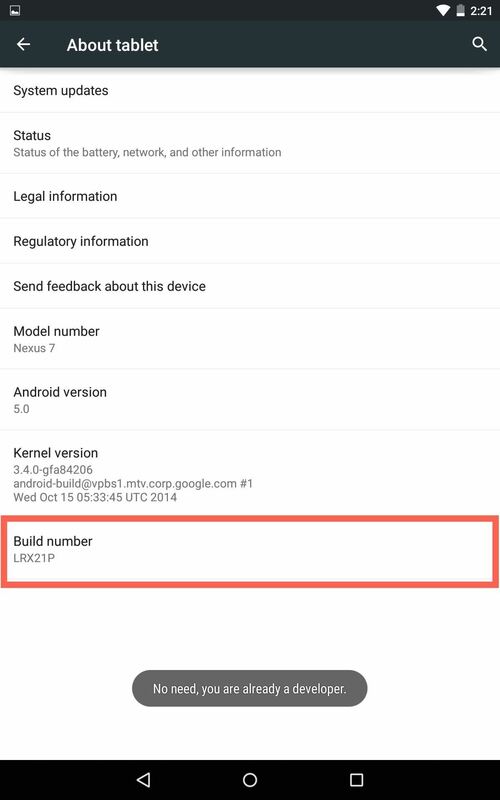 Interested to see what else is going on in Android 5.0? 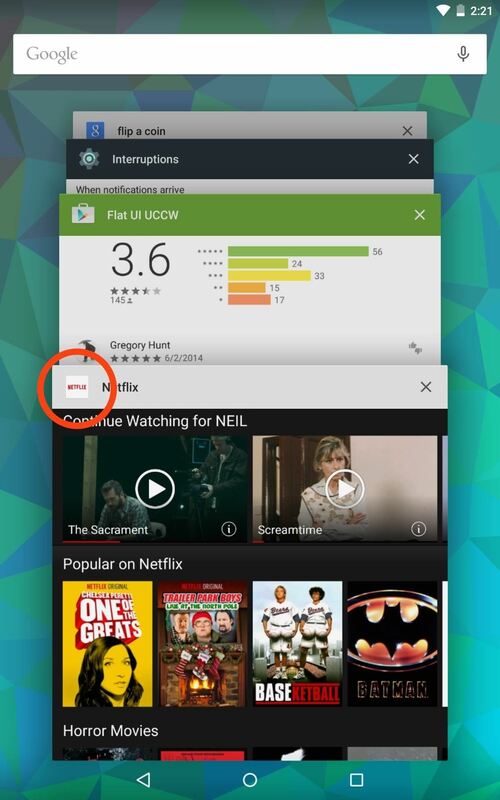 Check out all of the cool new Lollipop features to get the most out of your updated device.